Archos announced a new Android tablet earlier this month, the Archos 80 Xenon 3G and now the company has announced that they will be launching the 80 Xenon in the UK in June. The Archos 80 Xenon 3G will be available in the UK for £159.99, this is for a SIM free version of the tablet, which means you can use the 3G with any mobile carrier without having to sign up to a contract. 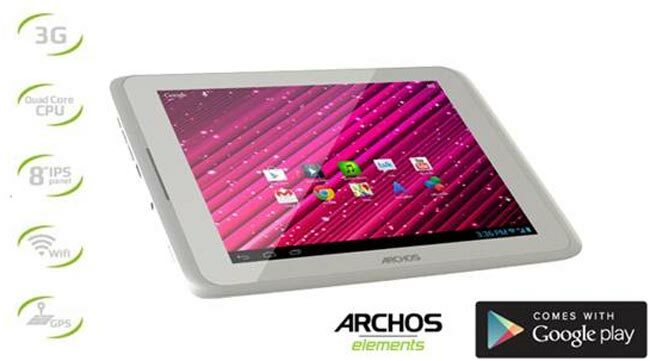 The Archos 80 Xenon features an 8 inch IPS display with a resolution of 1024 x 768 pixels, and will come with Android 4.1 Jelly Bean, it also features a quad core 1.2GHz processor and 1GB of RAM. Other specifications on the Archos 80 Xenon include a microSD card slot that can take up to 64GB cards, plus a 2 megapixel rear camera. This seems like quite a decent Android tablet for the price, especially when it comes with stock Android in the form of Android 4.1 jelly Bean.